If you’re a fan of slightly irreverent fantasy (that happens to be written by a priest) and like your stories filled with griffins, vampires and, of course, dragons, do I have a book review for you. The latest book I finished is Penny White and the Temptation of Dragons by Chrys Cymri. In her other life, Cymri is a priest – I assume in the Church of England – so it’s not a complete surprise that her main character is also a female priest. One of the things I really enjoyed in this book, as a double PK (uh oh), is the realistic portrayal of the person who’s vocation is being a priest – she likes fantasy and science fiction, she quotes Dr. Who, she has all the Buffy DVDs. In other words, she’s a real person, not a saint. I also liked the balanced view of what it’s like to be a minister. I know from my parents that, although it can be rewarding, there are also some very challenging aspects to it. The story itself was well written. The plot was solid and drew me along – it’s almost as much mystery as fantasy, except for the dragons, griffins and vampires, oh my. There was a point where it could have in a direction that I would have been disappointed, but the ending left me both satisfied and wanting more. All around, the characters felt very real – and I loved Clyde! 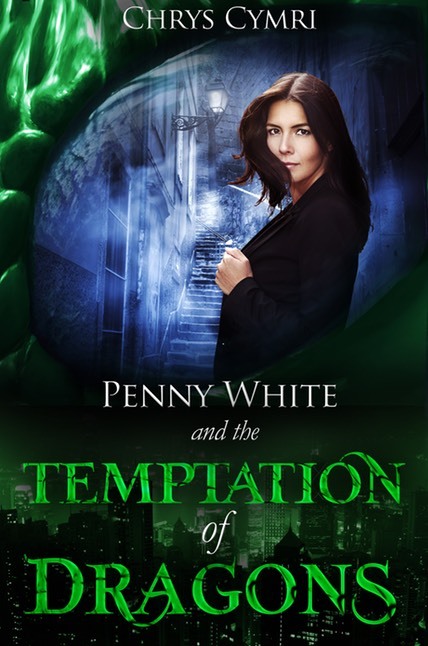 If you’re looking for a fun, engaging story with dragons and other mythical creatures (and, no, I’m not referring to female priests), check out Penny White and the Temptation of Dragons.